Discounted to just $2.99 on March 12 and 13th! 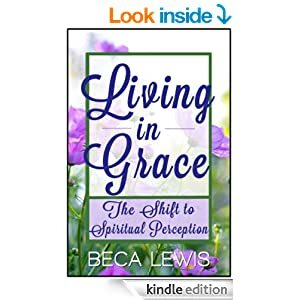 If you are tired of fooling around with material-based thinking that only puts Band-Aids on problems, and if you are ready to choose spiritual perception and the spiritual solution, than “Living In Grace: The Shift to Spiritual Perception” is the answer. This book will guide you through powerful-proven-practical-perception-shifting exercises and provide you with easy to use useful tools for shifting anytime, anywhere, and any situation. “A refreshing and powerful new look at the results of shifting perceptions to your true spiritual nature.” Alan Cohen, author of My Father’s View.